Chewy, Yummy Coconut with Loads of Fresh, Roasted Almonds. 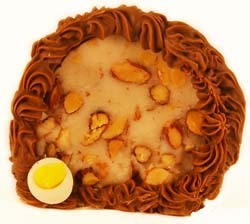 Hand-Made on the premises, with loads and loads of almonds, in a chewy hand-crafted coconut center. Amazing! From Rod Olson of New York, New York on 3/29/2018 .